Nixon and 'Nam, pet rocks and shag rugs, wife-swapping and party-hopping. Suburban New England, 1973, and the Hood family are about to wish they'd stayed home. Astutely acerbic, painfully funny, THE ICE STORM is an astonishing novel of the decade that taste forgot. 1973 - 'The last year of the sixties' as the author describes it. Amidst the worst storm for 30 years the local families gather for a party - the highlight of which is the wife-swapping 'key game' - and for two couples this supposedly harmless piece of liberal-minded entertainment spells permanent disaster. 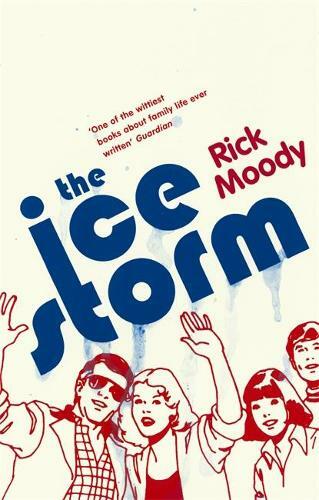 Rick Moody's first novel is a dark satire on the 1970s, the gadgets, the music, the politics and most of all the people.